WGCMA Chief Executive Officer, Martin Fuller, said the permit application was the result of an extensive consultation process with the local community and stakeholders. “We worked closely with a number of groups to ensure the project took into consideration both the environmental and heritage values of the site,” said Mr Fuller. “Heritage Victoria is an independent body tasked with the protection of Victoria’s most significant cultural heritage resources under the Heritage Act. The permit includes a number of conditions, which Mr Fuller said will ensure the heritage values of the site are protected. These include protecting the tunnel from excessive vibration, developing a Heritage Management Plan, independent heritage advice and inspections during planning and construction and the key elements being overseen by the Executive Director of Heritage Victoria. A tender process will now commence to find a suitable contractor to undertake the sensitive construction work. “We expect the tender process to be completed in the latter part of 2018, with construction beginning in early 2019,” said Mr Fuller. The tunnel was constructed by gold miners in the early 1900s and is an important part of Victoria’s goldmining history, but Mr Fuller said it has had unforeseen effects on the environment. 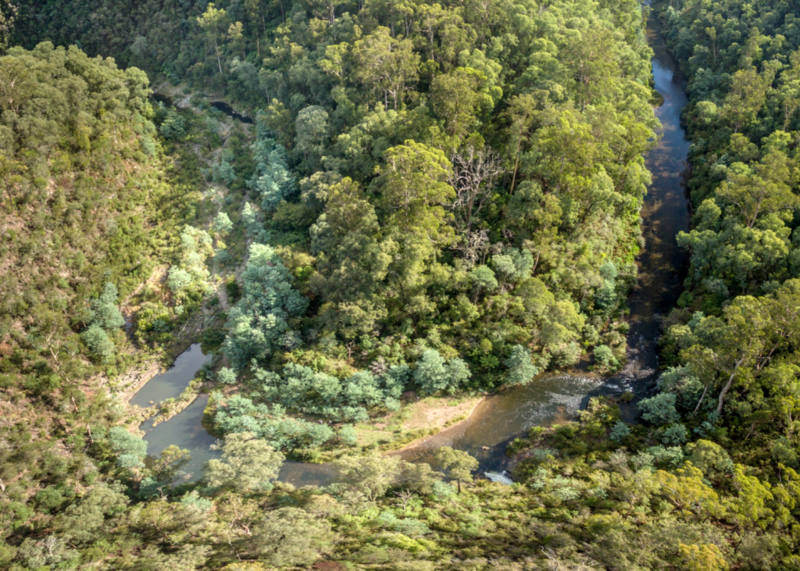 The Thomson River is one of Gippsland’s most significant and ecologically important rivers, and the creation of a fishway to allow passage between the Gippsland Lakes to the Victorian alpine region is a state priority. The new fishway will unlock vast reaches of the upper Thomson and Aberfeldy rivers to endangered native fish for the first time in a century. The current design was finalised after considerable input and involvement from the community, including members of the Hannaford family and the Friends of the Horseshoe Bend Tunnel. A project steering committee of community, local government and WGCMA representatives commissioned several designs and investigations before settling on a solution that shares the flows between the original river course and the tunnel. “The fishway has been designed to look and function like a natural waterway and it will help restore the river to its original appearance, and preserve the heritage values of the site,” said Mr Fuller. “Construction will be done in a very sensitive way and if any seismic thresholds are breeched within the tunnel, work will cease until the issue is resolved,” assured Mr Fuller. For more information on the Thomson River Fishway please visit www.wgcma.vic.gov.au and follow the links from the homepage.